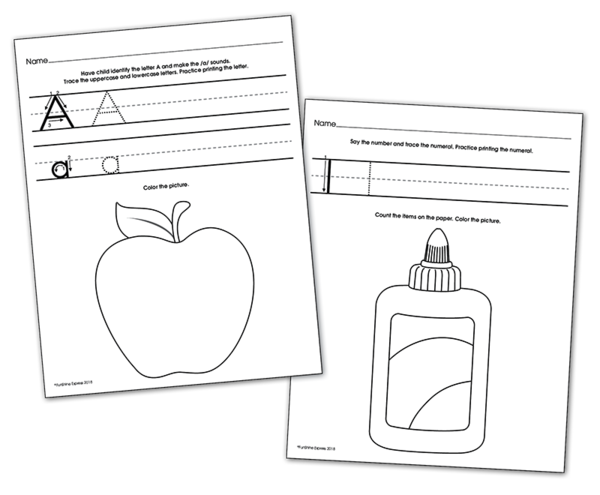 This children's resource is used to practice what the children have been learning during the month. They provide hands-on activities focusing on monthly concepts as well as serve as a communication tool with families. Children will be so proud to show their families what they are learning! The Practice Pages are loose sheets (9 per child) and are for the younger children in your group. They provide printing practice as well as a more simplistic approach to practicing other basic skills. 4 children/set.